YouTube has an enormous “clickbait” problem, and everybody knows it. Even the biggest channels around constantly rely on totally misleading thumbnails and titles that trick you into clicking on terrible content. It’s comments like those that make the video so great: Pewdiepie isn’t just roasting other YouTubers. Pewdiepie also has a sense of humor in pointing out that he, too, is a part of the problem. We all are, really. Titles that are entirely in CAPSLOCK. When a YouTuber teases a big but vague life change, it’s probably never what you think it is. When a YouTuber uses a bloody thumbnail, only to reveal it’s actually just make-up. Gotcha. When the title makes it seem like the YouTuber is going to answer a very personal question that really, is nobody’s business in the first place. When a video promises the cringiest anything. When something has “EXTREME” in the title. When a title has some variation of “I CAN’T BELIEVE THIS” or “YOU WON’T BELIEVE THIS” or “HOW COULD THIS HAPPEN?” - basically, anything with vague incredulity. 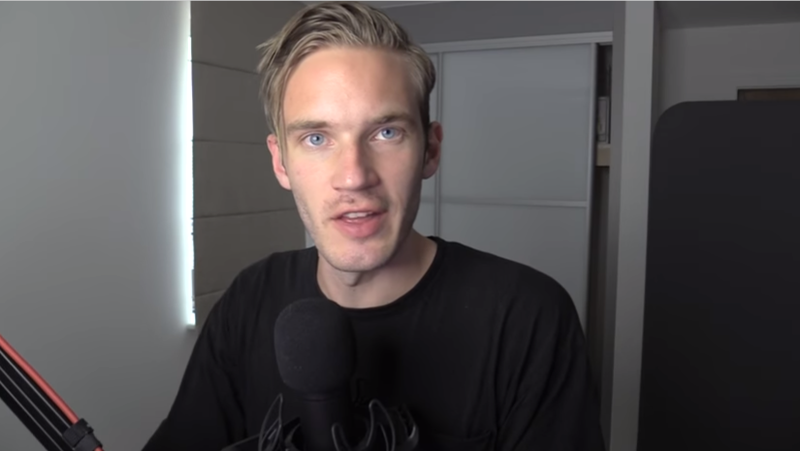 Pewdiepie suggests that a way of combating this problem is by spoiling the actual content of the video. Certainly, that’s what Twitter accounts like @savedyouaclick try to do, though that’s primarily for the written word. In this specific way, I’d say that YouTube is actually lagging behind other types of media. While websites certainly do rely on clickbait, it feels like the “golden era” of Upworthy-like headlines has come and gone. There is a reason for that internet-wide editorial shift: in 2013, Facebook announced a change to its algorithm that would put more emphasis on “high quality content.” This was a tweak that would go on to crush the traffic of some of the biggest clickbait offenders on the internet. Obviously, there are still many remnants, but it is nowhere near as bad as it used to be. YouTube’s algorithm on the other hand seems to give no fucks about the quality of a video, so long as you click on it and continue watching for a good amount of time. Maybe one day that will change. For now, videos titled stuff like HOT DOG CHALLENGE: I CAN’T BELIEVE THIS EXTREME SEXUAL DEATH will continue to accrue millions of views.